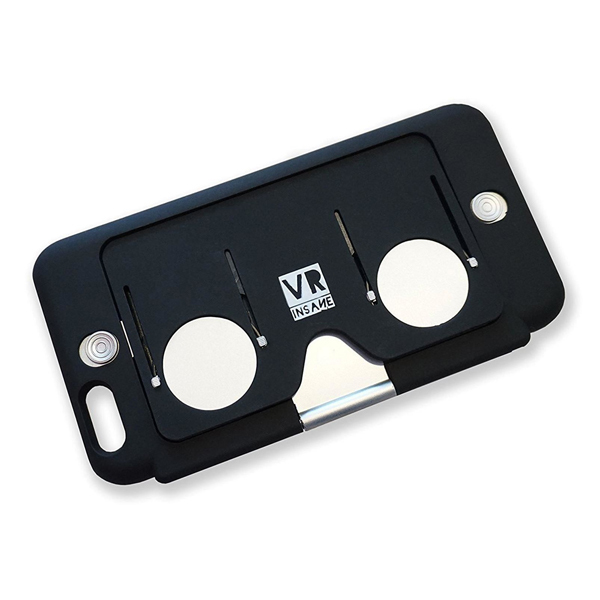 Super cool VR flip cases for Apple iPhone 6 and iPhone 6 Plus. Now this is a really cool concept for a phone case. This case has built in, flip up VR lenses. 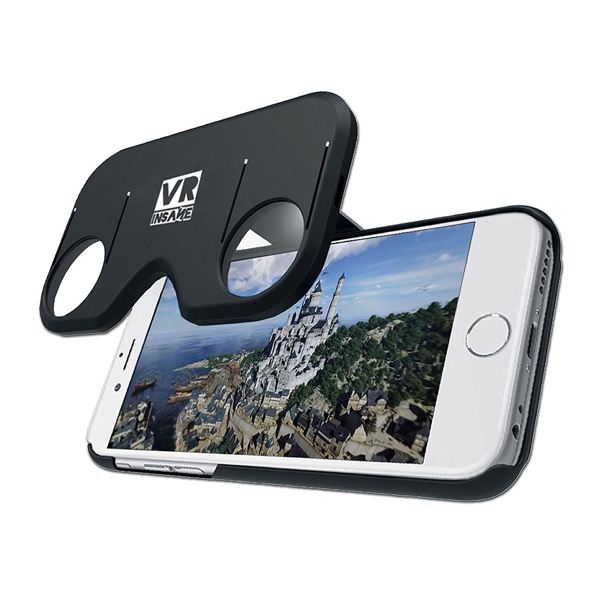 These are awesome for viewing 360 video's and picture and will give you a real taste of Virtual Reality and a tiny fraction of what it could cost. 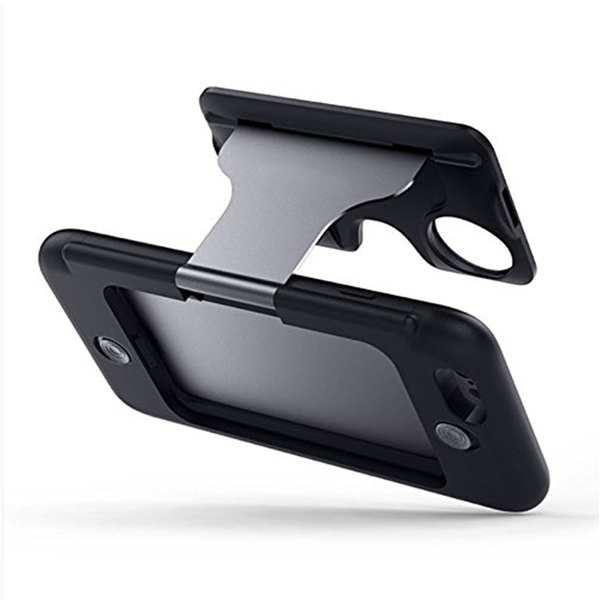 The case simply clips onto your iPhone 6 and will protect the back and sides from daily wear and tear. A simple release button springs the glasses forward when you want to view a video etc. QR codes on the packaging take you directly to VR Insanes' content. Which includes their own content and their top picks!